They are pretty much taking over the world. I neeeeeeeeed to adopt that puppy in the second picture!!! 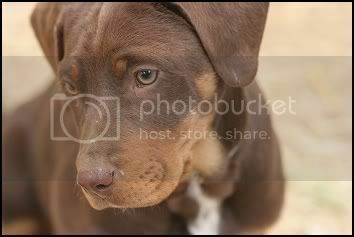 Bring him/her to me NOOOOOOOOOOOOOOOOOOOOOOOOOOOOWWWWWW! Please make sure to include in the puppy package puppy food stamps and someone willing to walk the pup when I'm at work in exchange for the joy of walking said pup. Wow. Those little guys have some serious cute going on. Wow, I'm not a puppy person at all and I'm even overwhelmed by the cute of those little guys and gals. They are stunning! I WANT THE SQUISHY ONE WITH THE TOP OF HIS HEAD FLOPPY TRIANGLE EARS!!!!!!!!! EEEEEEEEEEEEEEEEEEEEEEEE. Do you know the actual mix? 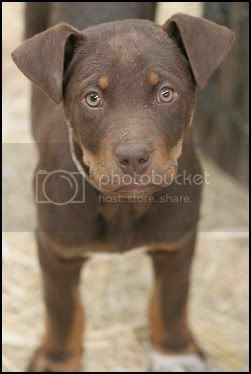 Dobie/chocolate Lab, maybe? They are sooooo beautiful. And their paws look pretty huge! Love it. Gah. 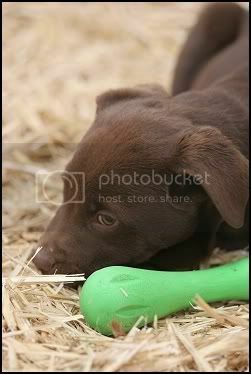 I wish Sean and I could adopt another pupperbutt. omg they are so freaking cute. 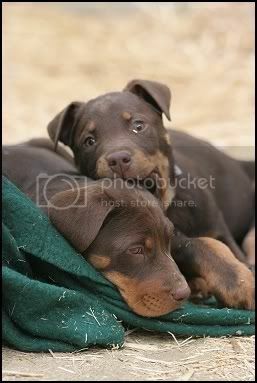 i needs me a puppy!